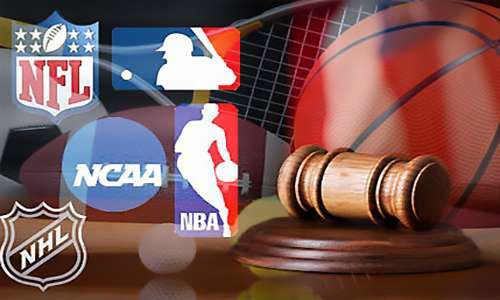 Sports bettors across the United States will be keeping an eye on New Jersey legal matters this week, where on Wednesday, a US Third Circuit 12-judge en banc appellate panel will hear oral arguments in the ongoing “Christie II” PASPA case. The en banc hearing and ruling, which will be issued at a later date, represent one of New Jersey’s last and best chances to fulfill its voter-approved sports betting plans and legalize most forms of sports betting throughout the state. Other states are watching the proceedings closely as well. Should New Jersey ultimately prevail in the case, in which it remains pitted against five major US-based sports organizations, then it will mean the state has finally found a legal path around the 1990’s-vintage Professional and Amateur Sports Protection Act, or PASPA, which remains the law of the land. Under PASPA, only the grandfathered state of Nevada has been able to allow full-scale sports betting, while three other low-population states, via pre-existing regulation, also have been able to offer limited parlay-based wagering. Wednesday’s hearing does not represent the absolute, final chance that New Jersey has to overturn or otherwise find a workaround for PASPA, since a US Supreme Court appeal also remains a thin possibility. However, the fact that an en banc hearing was granted in the case was itself exceptional, and came about only because judges in preceding rulings and cases directly contradicted each other in finding ways to keep the federal-level PASPA law operational. The PASPA statute dates from the early ’90s, and was created at the behest of the same sports organizations who filed suit against New Jersey to keep the state from implementing its sports-betting legalization plans. Those five organizations are the National Football League (NFL), Major League Baseball (MLB), the National Basketball Association (NBA), the National Hockey League (NHL), and the amateur-based National Collegiate Athletic Association (NCAA). New Jersey voters approved plans for the state to legalize sports wagering via a 2011 referendum, but have been stymied to date by lawsuits seeking to keep the US-wide PASPA ban intact. However, should New Jersey prevail in the ongoing Christie II case, then other states will have a ready-mad roadmap for implementing their own legalization schemes, thus capturing a slice of the many billions of dollars of sports-betting revenue wagered annually (and largely illegally) across the US. The twelve appellate judges who are expected to hear the arguments on Wednesday are Julio M. Fuentes, Thomas I. Vanaskie, D. Brooks Smith, Kent A. Jordan, Thomas M. Hardiman, Marjorie O. Rendell, Maryanne Trump Barry, D. Michael Fisher, Thomas L. Ambro, Joseph A. Greenaway, and Cheryl Ann Krause. Fuentes, Rendell and Barry comprised the three-judge Third Circuit panel that issued the earlier appellate ruling that left PASPA intact but which led to the entire Circuit’s decision to conduct the upcoming en banc hearing. Most expert legal watchers expect the decision to be narrowly divided, likely on a 6-6 or 7-5 vote, though that decision won’t be issued for several months at the earliest and may not even emerge until 2017. A 6-6 decision would result in a New Jersey victory, though for political reasons, as noted by gaming-law expert Grange95 over at Legal Sports Report, it is likely that in case of a tie, another judge would shift to the “winning” side to produce an official 7-5 margin. Four or five votes are known or believed to fall into both the pro-PASPA and anti-PASPA camps, meaning that the decision — and ultimately, the near-term future of sports betting in New jersey and across the US — rests in the hands of just two or three of the en banc panel’s 12 judges. 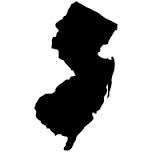 And should New Jersey prevail, expect to see US federal legislators visit the topic with vigor, in an attempt to create a new nationwide law to replace PASPA, even in a more-limited way.